I believe we are at the halfway point of the scan folder cleanup. Which is good, mainly because this post titles are LAME! There are just numbered posts. 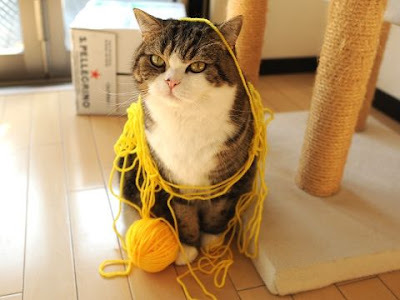 I'm becoming so unimaginative I may as well start a Tumbler and just put up pictures of my cat with yarn on his head. Oh you wait to see what I leave in your shoe later, buddy. If I recall, Tony over at Wrigley Roster Jenga is a cat owner. Maybe I should look to see if he has a Tumbler of cats. Or maybe his fiance does. And considering the mailer he sent me, I would subscribe to that Tumbler. Or is it follow? I don't know - I'm not hip with you young kids. I am hp to cards of the Big Hurt I don't have. Especially those crazy mid and late 90's stuff that went out. A message to Stadium Club: Don't try to be a hip, trendy card ever again. BTW - that is a Berger's Best in the middle. That insert set confuses me. Now the Walk Off Winners set - that is cool. One of the few good things about the 2016 release. 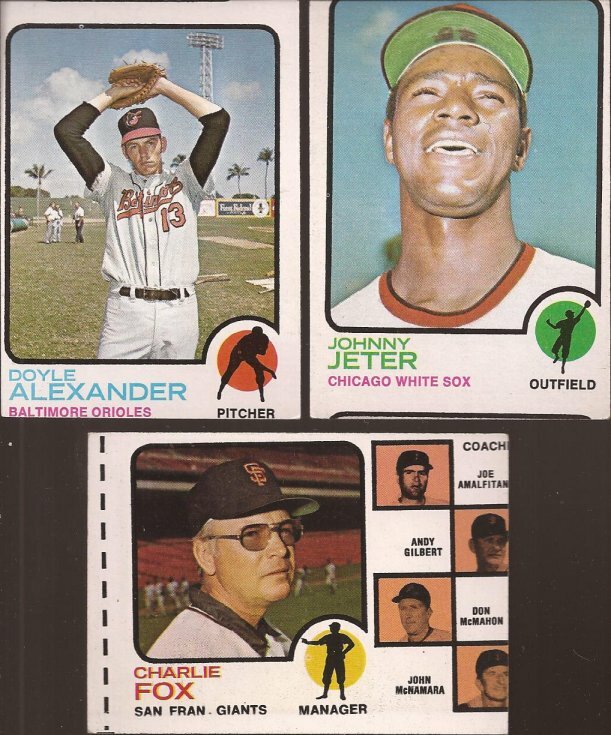 That Denny's Grand Slam card scanned really nice! Why can't all the foilish cards scan so well? 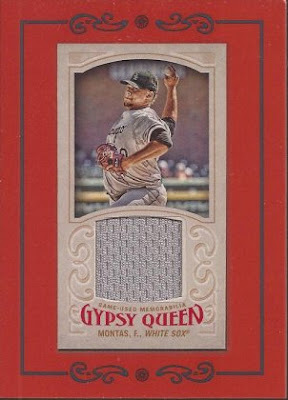 The highlight from Tony was this mini relic from this year's GQ of Frankie Montas. A plain ol' gray swatch, but a nice gift none the less. Tony, I am working on a return package. Either you or P-town Tom should like a different team. It would make my life easier. I also got Zippy Zapped recently from Zippy over at Torren Up Cards. Zippy threw a note in there apologizing there was nothing big within. Hey buddy - let me be the judge of that. Prospects are always a big deal, as I rarely buy any packs that contain cards like this. I just don't hunt for the next big thing, so I love people that supply me with these needs. Asian Bowmans are definitely a big thing. How in the world will I get any if it wasn't for you? Plus a gold Bowman of a player I collect. I call that big. Bowman Flashbacks are always a big deal because it would cost me a couple bucks to pick this up at my LCS or a card show. 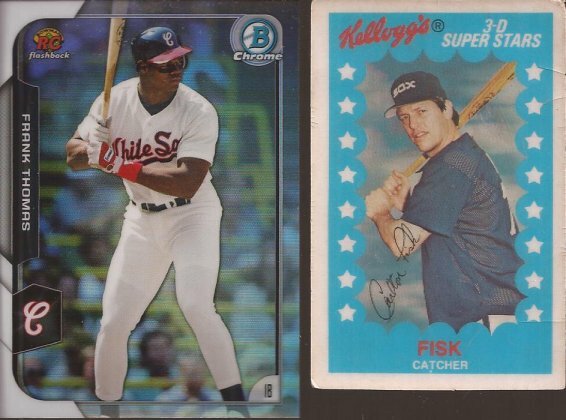 Ditto when it comes to a Kellogg's card of a HOFer. Saving me money = big. How in the hell is a dozen miscuts not big? Geez - just look at the Charlie Fox! That is glorious. Joey Amalfitano didn't seem to need the last letter of his name, and John McNamara didn't need the left side of his face. The miscuts are also big because I an blowing out the binder and really need to move it to something larger. Thanks a bunch, Zippy. What you think is nothing big is subjective to the receiver. Glad you liked the cards - also, I totally don't have a tumblr about cats... Or do I? Glad you liked the cards JJ. I just thought it "not big" due to how high I've raised the bar for my Zaps ;).